In northern Iceland, 1829, Agnes Magnúsdóttir is condemned to death for her part in the brutal murder of two men. 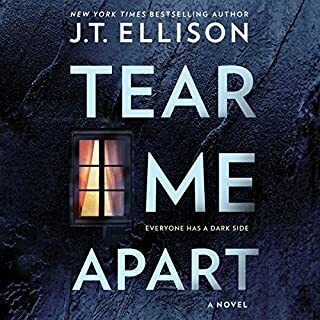 Agnes is sent to wait out the months leading up to her execution on the farm of district officer Jón Jónsson, his wife, and their two daughters. Horrified to have a convicted murderess in their midst, the family avoid contact with Agnes. Only Tóti, the young assistant priest appointed her spiritual guardian, will listen to Agnes’s side of the story. As the year progresses and the hardships of rural life force everyone to work side by side, the family’s attitude to Agnes starts to change - until one winter night, she begins her whispered confession to them, and they realise that all is not as they had assumed. Based on a true story, Burial Rites is an astonishing and moving book about the truths we claim to know and the ways in which we interpret what we’re told. In beautiful, cut-glass prose, Hannah Kent portrays Iceland’s formidable landscape, in which every day is a battle for survival. What did you love best about Burial Rites? The story was unfolded in a most intriguing manner. The descriptions of the characters, the cold icelandic weather and the living environs that the characters performed their day to day tasks in. Which character – as performed by Morven Christie – was your favorite? Who was the most memorable character of Burial Rites and why? Agnes was revealed as an intelligent and compassionate lady who was convicted of a crime that she was sentenced to die for, but the unraveling of the story reveal the unfortunate circumstances and a questionable application of justice. I selected this book as it had got so much press and the reviews were gushing to say the least. The reviews don't exaggerate - It is an amazingly well written story about a place that I have never even thought about. Hannah Kent has a very bright future, her novel is incredibly engrossing. 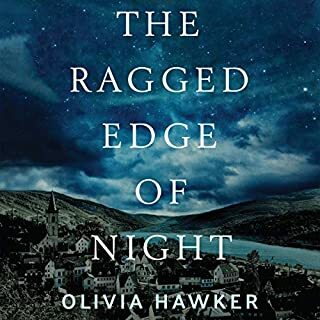 Morven Christie's narration is pretty close to perfect - she knows how to pause for dramatic effect and how not to rush, which is integral to this story.There were times when the narration was so evocative that I started shivering, empathizing with the cold conditions in the novel. The pronunciation of the Icelandic names was a joy to listen to and added immensely to my enjoyment. If you like novel's that take you to new and different locations (seriously who would have known anything about 19th century Iceland??) then this truly is a delight. Brilliant . I couldn't stop listening. Very well written. The story moves at a slow pace but is enthralling. The narration creates part of the scene with a very believable Icelandic element and a calming voice that builds a strong sympathy with the characters emotion. Favourite audio book so far...I mean it this time! Everything.....I love the narration, the story, the dialogue, the description of feelings, scenes ...it is the best book I have listened to for a long time. Yes...and even though the reader knows the outcome before commencing the book, you cannot but help hoping for a miracle. What does Morven Christie bring to the story that you wouldn’t experience if you just read the book? Her voice made the story for me...the way she brings Agnes into the room with you, the use of the Icelandic accent, she is very very good. Cry. Over and over again at the end. Don't hesitate, just listen to it! Burial Rights is set in an interesting historical context (and i do appreciate Kent's research) but i am just not sure whether the plot lived up to the hype. Great book. Had us hooked from the start. Detailed characters. Not usually into historical novels but really enjoyed the setting for this one. Great listen!!! The narrater's Icelandic pronunciation was real. A rich tapestry of characters interwoven through a time and place of poverty and disadvantage took readers on a journey with a tragic end with some triumph. Would you try another book from Hannah Kent and/or Morven Christie? Possibly,but I found the pace of this book too slow. I think if she wrote a novel set in a different place and time it might tempt me. Her style is beautifully poetic. Edit out some if the detail of everyday life, not the descriptions of place which were excellent and haunting. Do you think Burial Rites needs a follow-up book? Why or why not? Perhaps she could write a book about the men that were murdered. This was an excellent book to listen to, there are a lot of Icelandic names and I think I would have given up reading it if I'd tried to pronounce them myself. The reader made a great job of it. 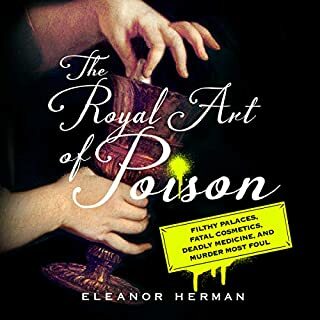 There is no doubt that the author is very skilled at creating an evocative and haunting story,however I did find it a bit 'grim' for my taste. 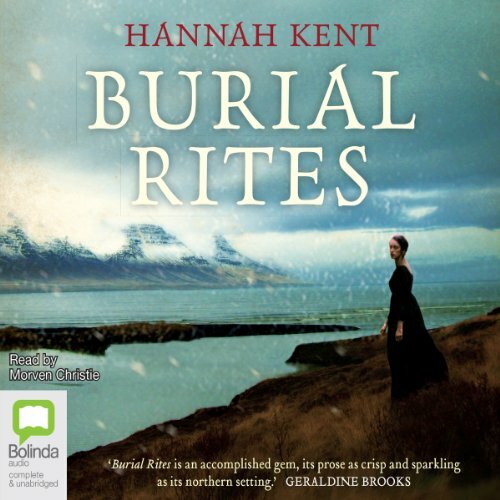 Where does Burial Rites rank among all the audiobooks you’ve listened to so far? Well worth the time and more than worth the credit. Wonderfully written and beautifully narrated story based on characters and events in Iceland in the 18th Century. It revolves around a young woman (Agnes) sentenced to death for her supposed involvement, with two co-accused (one fo whom is subsequently released), in arson and the murder of two others. Prior to her death by hanging, Agnes is accommodated by the family of a district official, and counselled by a trainee priest. Through different voices and perspectives we learn of Agnes' life and passions, her relationships with the co-accused and victims, as well as with the family (divided in its response to her) and priest (naive but rises to the occasion). It is compulsive reading/listening, offering great insights into the social structures and norms of life in Iceland at the time - including attitudes to women and to those from lower social classes. The author, a young Australian, first learned of this story while spending time in Iceland, and followed up with much deeper research based on documents and interviews. A fine story, finely written, and finely read. The ending was no surprise as a documentary was what sparked my interest in this novel and they gave away the ending. Even so, the book was not ruined by this. In fact it made it more intriguing. Well written and researched. Very believable characters and plot. Even though this fiction was drawn from factual accounts of the time it was definitely not presented in a lecturing academic way - a most challenging read that takes you to the time and place in which it was set in a very real way. Cudos to the Author. Absorbing .fascinating and superbly narrated. So beautifully read. Mesmerising, lilting voice. Sad to reach the end . Highly recommend this version. This is a wonderful book and engaging storytelling although it was numbingly cold at times and almost unbearably grim. But I warmed to the characters and the desolate landscape. A very impressive first novel which is beautifully narrated. Really recommend this book! One of the best I have read in the last year! 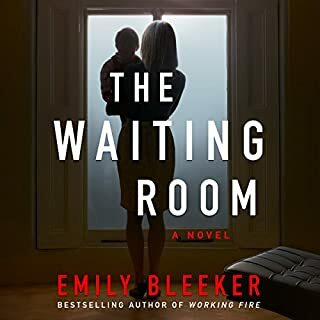 A very gripping story that kept you guessing right till the last few chapters, and the rest of the way through was saw some beautiful relationships form as well as being filled to the brim with such detailed and fitting metaphors and descriptive language (defiantly recommend listening to this book as opposed to reading it, you get so much more out of it!!). 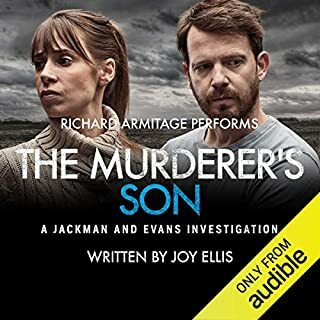 Morven Christie is excellent at narrating it. Kent has done a marvellous job in writing this book - a debut to be most proud of! "Well researched, written & narrated"
Hannah's research into the history showed how tough life was in Iceland in the 1830's. Fact & fiction intertwining with this audiobook is a brilliant read. I was told by a friend who’s a professional reviewer that this was one of her favourite books. But I was disarmed by everything from the moment I started listening. This is not a happy book. The content holds you too close to the story - the true story - of yet another woman who’s destiny is controlled and predestined by a culture of cruelty. The writing is so exquisite and the performance of the narrator so utterly perfect that I found myself all too often not breathing. The intimacy of Burial Rites is hypnotic and addictive and I pushed life’s needs and chores to one side to keep the connection for as long as possible. I believe this is one of the most powerful and beautiful books I’ve ever read. Simply STUNNING, I can’t stop thinking about it! 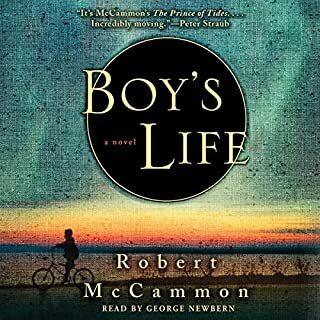 I actually find it hard to describe how much I loved this audiobook. The story is captivating and it was easy to feel emotion towards each of the characters, especially the main character Agnes. The descriptions and metaphors paint the most vivid of pictures which are eerily beautiful in what is an extremely harsh landscape and era. The narration was exceptional, I’ve not heard anything this good before! I can’t stop thinking about it!! Not sure how f I enjoyed the reader, but a good story all the same.